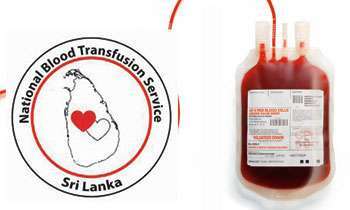 A dispute between the National Blood Transfusion Service (NBTS) Director and its medical officers has lead to a malfunction of the blood bank for the first time in the history, it is learnt. Medical officers attached to the NBTS at Narahenpita to resort into work stoppage from today urging the health authorities to remove NBTS Director Dr. Rukshan Bellana from his portfolio. The strike is to be backed by the Government Medical Officers Association (GMOA) with the support of 42 Medical Officers (MO) of the NBTS. It was learnt that Speaking to the Daily Mirror, GMOA’s NBTS branch Secretary Dr. Senal Rupasinghe said due to the arbitrary decisions and alleged finance misappropriation of the director, NBTS MOs’ had found hard to carry out their duties. Dr. Rupasinghe stated that the director was interdicted for nearly two years and ten months for allegedly slinging mud to President Maithripala Sirisena during the previous Presidential election and was not having a good service record. He alleged that Dr. Bellana had arbitrarily purchased a bone marrow transplant machine, misappropriating a sum of US $ 1 million funds allocated for a contingency plan. He said that there is no need to purchase such machine as yet bone marrow transplanting is not performed in Sri Lanka. Dr. Rupasinghe also said that the director had allegedly attempted to award a service agreement for repair the freezers given to provincial blood collection centres at a cost of Rs 7.3 million per annum. He pointed out that less than Rs. 1 million was spent to service the freezers last year. “ So far we have not requested the provincial doctors of NBTS to take part in this protest. If the health authorities remain silent over the director’s arbitrary behaviour we will resort to islandwide action disrupting the entire blood supply to the country,” he added. When contacted Dr. Bellana rejected the allegations levelled against him and said the medical officers are attempting to cover up their fraudulent activities. Dr. Bellana said that one NBTS MO was accused of several serious sexual harassment allegations and he had called an inquiry over the accused via the Health Ministry Secretary. “The accused medical officer is attempting to divert the attention and stop taking disciplinary action against him. Several nurses had given a statement that the said MO who is initiating the strike, had attempted to obtain sexual advancement on several occasions. The nurses are refusing to go outstation on mobile service with the said MO,” he said. Dr. Bellana said that the accused medical officer in conivance is trying to tarnish his reputation by spreading false information among the staff and remove him to carryout his dirty work. He said four nurses, two Medical Laboratory Technicians (MLT) and a minor staff are scheduled to give a statement against the accused medical officer during the inquiry. Dr. Bellana said that after he was appointed in December 20, 2017 he was able to minimise several misconducts that took place in NBTS for years which was the main reason medical officers demand his removal.